HAVE A VERY LOVELY DAY!! Like smiling and laughing a bit. It's more like a "Rainbow connection" too. To all the four winds, and release it. Of my own sanity in place,intact, somehow. After all that hard work and that thinking. There are those crazy times I just go back and delete those too. Like I am more than ten feet tall. More like a rainbow connection just humming. To, and all in the divine plan that He has for me too. Writing is so much fun try it and you'll see. 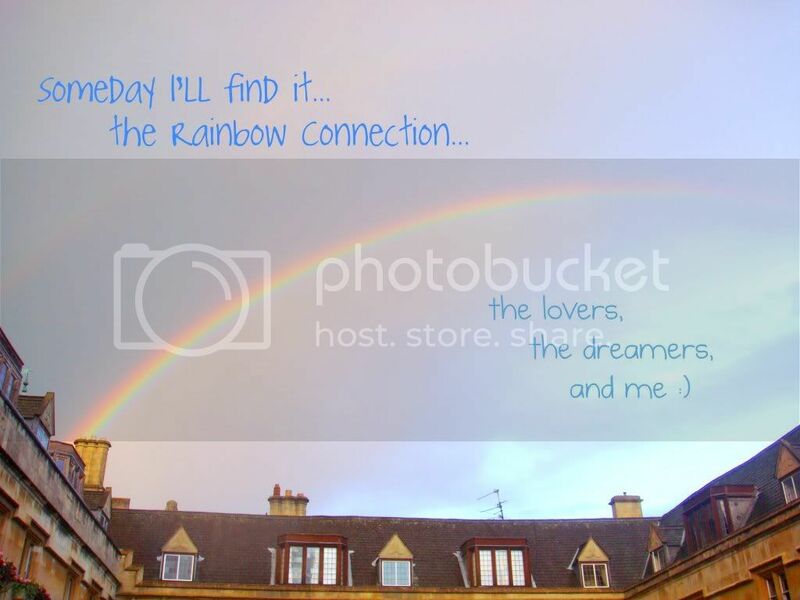 Has trusted me forever with this "Rainbow connection." And put it all to good use as my Lord Jesus commands me to do. I just desire in my heart to honor my Heavenly Father with it. Who truly loves you and cares for you no matter what you do.